Alex J. Sautter, Galion, to Tiffany D. Carter, Galion. Carl E. Lowe, Cardington, to Andrea R. Lambert, Cardington. Andrew Skaggs, Marengo, to Victoria G. Horosz, Marengo. John S. Stumpf, Galion, to Diane L. Wise, Galion. William K. Kunkle, Cardington, to Kara M. Skillman, Cardington. Christopher A. Church, Galion, to Sarah M. Pollard, Galion. Gregory A. Braskett, Marengo, to Rebecca A. Rutherford, Marengo. Arlo R. Perry III, Marengo, to LouAnn J. Bargy, Marengo. Cory A. Haldeman, Cardington, to Brittany R. Ankrom, Marengo. Matthew J. Ufferman, Mount Gilead, to Megan D. West, Mount Gilead. Derek J. Rhoads, Mount Gilead, to Bridgette N. Skatzes, Mount Gilead. Judgment Entry and Notice of Decedent Former Name in estate of Connie S. Hess. Certificate of Title Examination; Application for Certificate of Transfer and Entry Setting Hearing and Ordering Notice in estate of Ruth Jeannette Nichols. Application for Attorney Fees; Computation Schedule for Administrator/Executor Fees in estate of Marcia G. Lover. Entry Setting Hearing and Ordering Notice; Entry Approving and Settling Account in estate of Mark H. Grasmehr. Amended Inventory and Appraisal with Real Estate; application for Certificate of Transfer for Motor Vehicles; Entry Setting Hearing and Ordering Notice in estate of William R. Kuykendall. Continuance Granted for Mediation scheduled in estate of Peter Patton. Receipts and Disbursements, Fiduciary Account Amended; Judgment Entry Order To Pay Attorney Fees in estate of Ruby C. Naylor. Entry Appointing Fiduciary; Letters of Authority; Judgment Entry in estate of Herman Junior Shultz. Application To Waive Filing of Inventor and Accounts; Waiver and Consent Wrongful Death Survivor Claims; Entry Setting Hearing and Ordering Notice in estate of Gene A. Park. Application For Certificate of Transfer in estate of Martha Jane Taylor. Entry Setting Hearing and Ordering Notice in estate of Helen Irene McQueen. Judgment Entry Order Approving Inventory and Appraisal in estate of Elaine K. Ballitch. Judgment Entry-Report of Distribution in estate of Frances Ann Barton. Inventory and Appraisal with Real Estate; Schedule of Assets in estate of Doretta Malone. Return of Certified Mail Service in estate of Geneva A. Persinger. Certificate of Service of Notice of Probate of Will in estate of William R. Spaulding. Certificate of Service of Notice of Probate of Will in estate of Donald A. Huelskamp. Entry Setting Hearing and Notice in estate of Gary Tyrone Faust. Application to Probate Will/Certificate of Waiver of Notice/Entry Admitting Will to Probate in estate of James Lee Davidson. Entry Approving Appraiser in estate of Thomas David Marcum. Appointment of Appraiser; Fiduciary’s Acceptance; Affidavit in estate of Jerry J. Oger. Application to Probate Will; Authority to Administer Estate; Original Will Filed; Certificate of Death Filed; Entry Admitting Will to Probate Filed; Entry Setting Hearing and Ordering Notice; Entry Appointing Fiduciary; Letters of Authority in estate of Keith A. Strait. 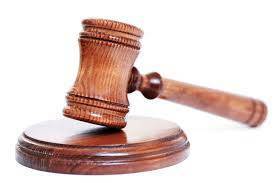 Application for Authority to Administer Estate; Appointment of Appraiser; Motion to Appoint Special Administrator in estate of Dustin Michael Lynch. Assets and Liabilities of Estate to be Relieved from Administration; Certificate of Death Filed; Application to Probate Will; Original Will Filed; Application for Transfer for Motor Vehicle in estate of Edna May Delaney. Application for Summary Release from Administration; Surviving Spouse, Next of Kin, Legatees and Devisees; Certificate of Death Filed; Entry Granting Summary Release from Administration in estate of Howard L. Setters.